Let Kathy help you get some Revenge!!!! Don’t get mad, get Revenge! 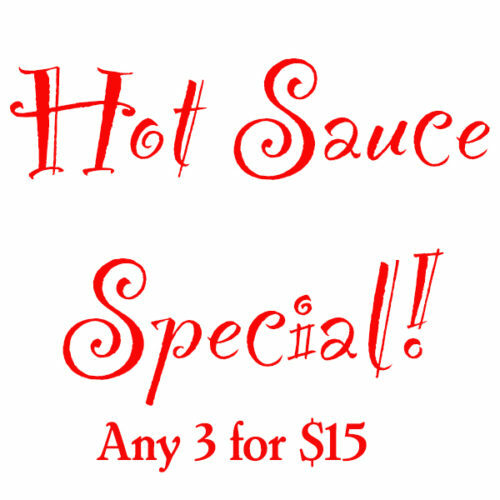 Kathy’s Revenge Hot Sauce is the best of both worlds; flavor and heat - lots of heat. Revenge looks unassuming but once you've enjoyed the great flavor, you'll be introduced to the abundant heat and you’ll understand the reason for the name. 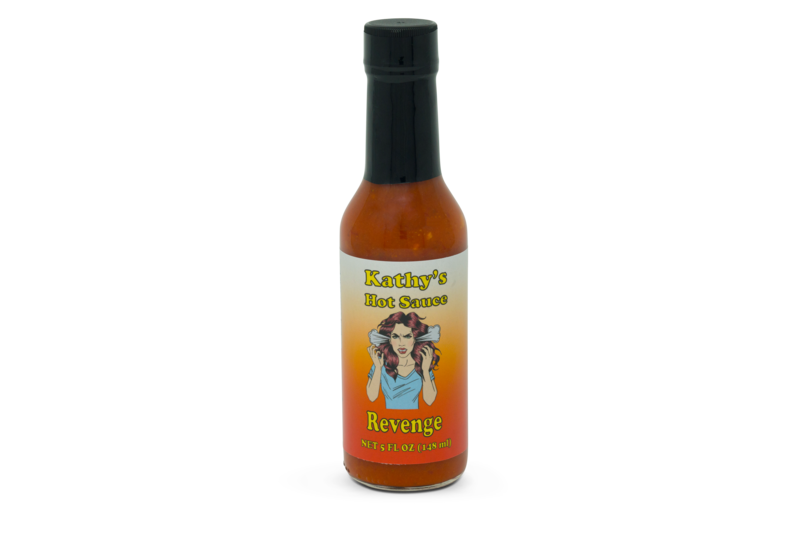 Kathy’s Revenge Hot Sauce is not for the faint of heart. If you like the marriage of heat and flavor, you’re going to love what Kathy brings to the table with this one. Bring milk! Kathy suggests putting her Revenge hot sauce on wings, tacos, or inside enchiladas for a nice surprise of heat. Put it on an omelet or scrambled eggs for that morning pick me up! Add a bit of it to your margarita for a nice kick. There are a million ways to use Kathy's Revenge hot sauce. What can you think of?